ZOOM! Super Daniel is always ready to save the day! 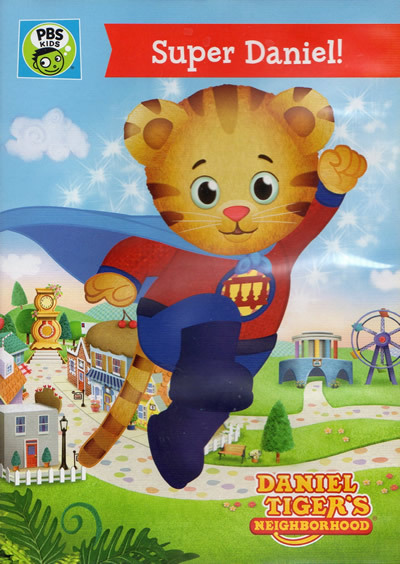 There are a lot of ways for a young tiger like Daniel to be brave and adventurous, such as using his "super powers" to help out friends and solving problems by coming up with his own solutions. Daniel soon discoveres that trying new things and being proud of oneself can make anyone feel like a superhero! 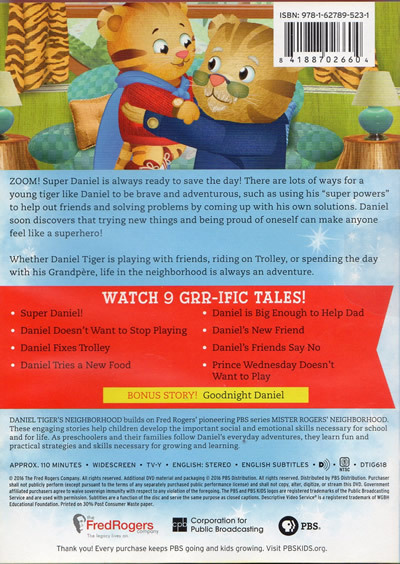 Whether Daniel Tiger is playing with friends, riding on Trolley, or spending the day with his Grandpere, life in the neighborhood is always an adventure.